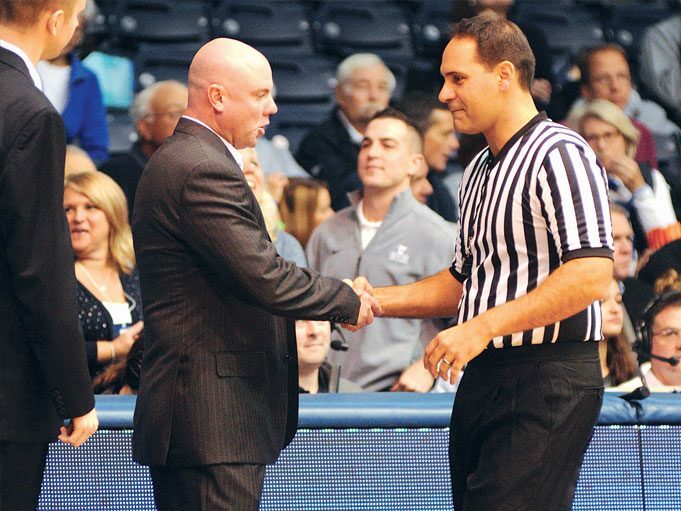 To get the game off on a positive note, it is imperative that officials master the art of first impressions. And it is far more than simply showing up, smiling and shaking your coach’s hand. Being able to ensure this initial encounter is a positive one, and building credibility for your entire crew, requires several steps. Lack of preparation is the common cold of officiating. Being ready and doing a little legwork prior to the game can be a big advantage. Preparation for the first interaction with a coach starts when the season schedule is released. 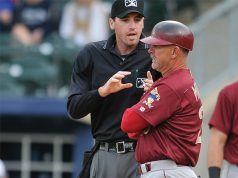 Gather as much information as you can about the coach: how long he or she has been with the team, where they are from, teams they’ve worked with in the past, and any other interesting tidbits unique to them as individuals. You never know when this knowledge will come in handy not only during the initial introduction, but in tense game situations as well. It goes without saying that you should look good. 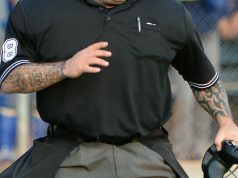 Officials who are unshaven, out of shape and wearing rumpled, stained uniforms are likely to send the message that they simply don’t care about the game at hand. Save the individuality for after the game. Arrive on the field or on the court looking professional, polished and perfect. And don’t forget to make sure your shoes look good!